Our weekly explainer on economics using lessons from popular culture. 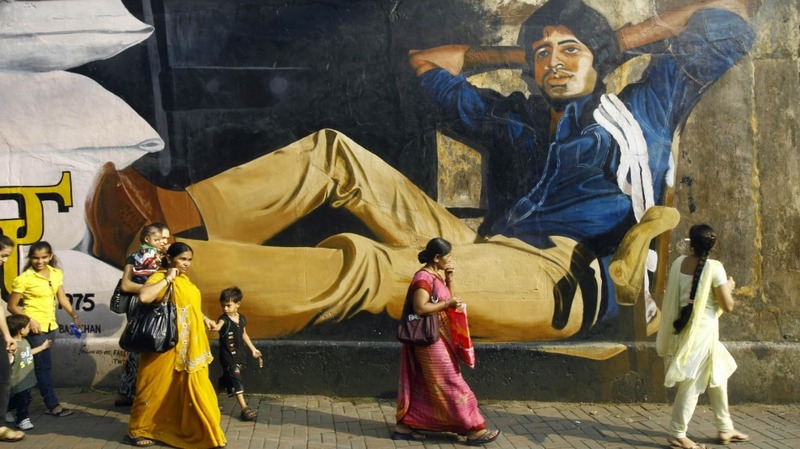 In Installment 4, Amitabh Bachchan explains how prices work. ‘Jahaan teri yeh nazar hai/ Meri jaan mujhe khabar hai.’ – Amitabh Bachchan in Kaalia. ‘Whatever it is that you want/ My love, I know it.’ Amitabh Bachchan, playing the role of Kaalia in the film Kaalia, is doing a very sly thing. The song is ostensibly about a necklace that both he and Shahani Seth, the character played by Amjad Khan, covet. But in reality, Bachchan meant these words as a lesson about free markets, and how the price system works. In particular, it was an early reference to Uber’s surge pricing. The film was released in 1981. Wow. Economists will teach you that the one fundamental truth about this world is scarcity. Everything is scarce, and we can’t all have what we want. The Right to Property prevents the world from descending into chaos, where everyone is fighting for everything. Once that is in place, our desires are satisfied through the actions of others. Every voluntary transaction in a marketplace leaves both parties better off. But how can such win-win transactions take place? How is everyone to know what everyone else wants? Let’s go back to Kaalia. Imagine that you are an Uber customer, and Kaalia doubles up as a superhero named Mr Uber. You want a taxi. In a heaven without scarcity, you would get a taxi for free whenever you wanted one. But we live on earth, and there aren’t enough cars or drivers or roads or time. So how are these resources to be allocated? Well, Mr Uber knows everything. Specifically, Mr Uber knows how many people want a taxi, and how many taxis are available at any given point in time. Consider the following scenarios. Scenario one: 100 people want a cab and there are 100 cabs available. Each person gets a cab at the normal price. All is well with the world. Scenario two: 300 people want a cab, and there are 50 cabs available. Mr Uber is asleep, the prices stay what they are. (Maybe the government mandated it this way.) Fifty lucky people get a cab at the normal price. 250 people are left stranded. Some of them may have an urgent need – maybe they need to go to the hospital, or catch a flight. Too bad. Scenario three: 300 people want a cab and there are 50 cabs available. Mr Uber never sleeps. Jahaan teri yeh nazar hai/ Meri jaan mujhe khabar hai. As demand starts outstripping supply, he starts adjusting prices upwards. These 300 customers see surge pricing. Now, those who have an urgent need – catch a flight or go to the hospital – will know the value of their ride and will gladly pay. It’s better than not getting a cab at all. And those who have a trivial need will cancel the ride. Equally, the high price will send a signal to Uber drivers who might be idle at this point in time that there is high demand for their services. The high price will incentivise them to get into action. If prices remain high over time – indicating that demand is consistently more than supply – people who are not yet Uber drivers will be incentivised to swing into action. Here’s what Mr Uber did by adjusting the price. Firstly, he communicated Information. Both customers and drivers got a true sense of the value of a ride, which allowed them to adjust their behaviour. Secondly, he changed Incentives. Idle drivers were incentivised by the high price to hit the road, and customers whose need for an Uber wasn’t great were incentivised to try other options, leaving the rides for people who valued them appropriately. But if Mr Uber had been asleep at the wheel – that’s such a horrible turn of phrase, aargh! – then the information would not have gotten through. It would have led to shortages, as price controls always do. What’s worse, it would have perpetuated the demand-supply mismatch, as the information would not get through to the concerned parties, and their incentives wouldn’t change. Now, as you may have guessed by now, this piece is not just about Uber’s surge pricing. Instead, it is about this wonderful thing we take for granted called the price system, which Uber’s surge pricing mimics. What is the most important thing we need to optimally allocate the scarce resources of a society? We need information about the nature and intensity of people’s desires. How do we get this information? We get it through the price system. It is the best mechanism to communicate information and incentives. What is most remarkable about the price system is that is not centrally controlled by any authority. Indeed, to the extent that anyone tries to interfere with it – by fixing price caps as in Scenario 2 above, for example – they subvert the flow of information, and hurt both consumers and suppliers. A win-win game becomes lose-lose. India has never learnt this lesson. We love to fix prices for everything, as if scarcity will disappear if prices stop rising. When price caps are imposed, this leads to scarcities. And the unintended consequences can be drastic: The Minimum Support Prices for wheat announced in the 1960s led to protein deficiencies across the poorer sections of India, as farmers focussed on wheat and didn’t grow enough dal. This could never have happened in a free market. Kalia knew this, or course. That’s why he was the hero, and Shahani Seth, that arrogant, thieving socialist fool, was the villain. Guess who got the girl. Further reading: ‘The Use of Knowledge in Society’ by Friedrich Hayek shows how knowledge in society is always dispersed, and beyond the reach of any human. The price system is the best mechanism to capture and use that knowledge. This is, in my view, one of the two best essays of the 20th century. I will now light an agarbatti, wave it around my laptop screen, and read it again.